Streets paved with gold? Land of opportunity? You sure we're talking about the same Ellis Island? How many times have you said to yourself, "Sure, this is a nice Super 8, but it's not big enough"? Well, at the Ellis Island Super 8 Las Vegas you won't have that problem. 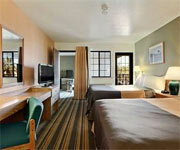 Super 8 - Las Vegas Strip Area is the world's largest Super 8! Other than its size, there is little to distinguish this one from any other. 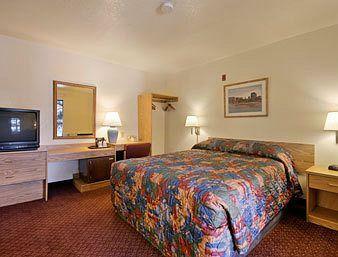 It's nicer than a Motel 6, with slightly larger rooms and queen beds, but it's not the Bellagio. 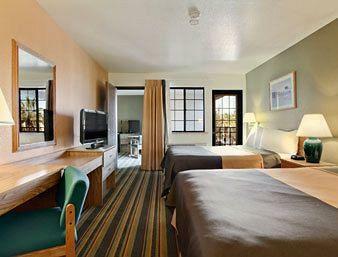 The rooms have safes, sitting chairs, medium-sized TVs and that's about it. Clean, simple, decent for sleeping in. Fair. Ellis Island Super 8 Vegas Motel is not a full-service hotel, so you're expected to take care of yourself. 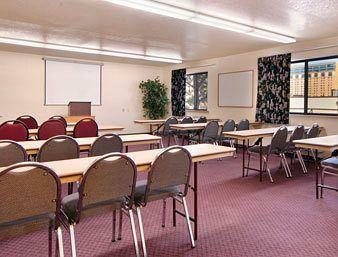 Check-in is quick and you can park near your room if that's important to you. Shampoo/conditioner and lotion. You want a moisturizer? Then you better pack it. And don't even think about tearing a hole in your trousers because there ain't no sewing kit. 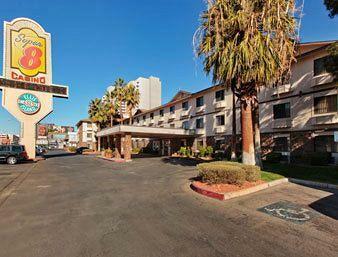 This Super 8 - Las Vegas Strip area gives you what you need and nothing more. 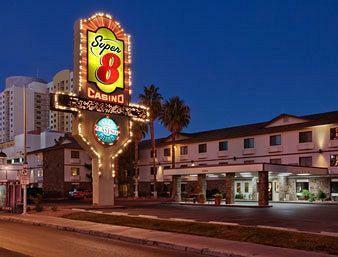 Super 8 Las Vegas by Ellis Island Casino and Brewery attracts mostly blue-collar locals and seniors drawn in by the very well-priced food. In the Ellis Island Super 8 Vegas Motel, blue-collar families and people in their 40s and up gather for a good night's sleep. The kiddies love it here because the smoke isn't as bad and the music won't keep them up all night. Oh wait, that's why the old farts like it. 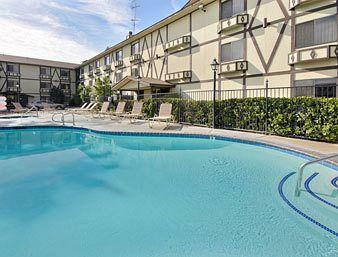 It's a tiny kidney shape with an even tinier Jacuzzi set on a concrete pad adjacent to the parking lot. Kids who just want to be in water won't care. But for adults, the Ellis Island Super 8 Las Vegas pool is a major bummer. The hotel is nothing to write home about, and not really worth a stay, but the food is cheap and pretty good, and the casino is full of locals who love it. Blackjack, craps, roulette and maybe a three-card poker table open. Ellis Island Super 8 Las Vegas Casino and Brewery is fighting the tough economy by jacking up prices: $5 blackjack usually. Craps is $5 with 3x4x5x odds. The double-zero roulette had dollar chips and a $4 minimum. About 350-400 slots mostly in the nickel and quarter denominations, and almost entirely video poker, the crack cocaine of gambling. The selection is decent, and there is full-pay video poker as little as a nickel. Fair. Here is the deal: Ellis Island Super 8 Las Vegas has a decent brewpub, but that means microbrews, and also homemade root beer (although, it's a bit sweet for us). Plenty of giveaways for locals, but they don't try as hard to win the tourist's loyalty. They have the Passport Player's Club and you'd be wise to sign up. If you gamble for several hours, it is equally smart to ask for a restaurant comp. 24 flat screen TVs, which is about one for every eyeball that's usually around here. There are also about 18 individual TVs for greedy people who hate to share. There are about 19, give or take a couple. We can't remember the exact number because some really large guys might have been sitting on more than one. This isn't a casino to settle in for the big game. It's where you go to make a bet and then take off to go do something more important, like work to pay off the wager. About two with slate boards for score keeping. No, but you are right there in the middle of the casino and if you can flag down a cocktail waitress, she'd probably be happy to accommodate you. The microbrewery and Metro Pizza are close at hand. They are cheap and will get you drunk and fat in no time. This is a Leroy's outpost that's been spiffed up some. The big Strip places are a much better place to watch the game, unless you consider sports-watching a solitary activity. This Super 8 - Las Vegas Strip Area hotel may be the biggest Super 8 in the world, but that doesn't mean that you get any more options than you do at other Super 8's. You get the choice of a king bedroom or two queens in a bedroom. The rooms are said to be decorated comfortably, which means you'll be comfortable if you don't set your expectations too high. 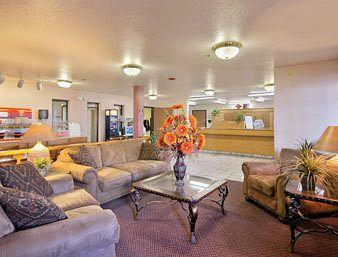 You get a TV with cable and free Wi-Fi (a rarity in Vegas) as well as an iron and ironing board and a coffee maker. Don't waste your money on Starbucks when you can make your own free coffee in the room! The quality is about the same, right? This is a casino/restaurant review only. I am a beer aficionado so I come to Ellis Island for good, inexpensive beer and food. EI doesn't disappoint. They brew on the premises. I have never had fresher beer for a better price, $1.75 for a 20oz Hefeweizen. These are simple, fresh, well made brews in a variety of styles. Nothing fancy. Super! Combine that with some tasty, greasy Metro Pizza, and you be glad you withheld that last bet after a beat down on the strip. Also, you can't beat the restaurant for breakfast. I come in at 5am and still get the steak and potato special for $5.99! Good, inexpensive food. Fast service. I find there is a lively crap game at night with the regular $,3x4x5 odds. There is also normal $5 3/2 blackjack. I notice they also have a dedicated Karaoke bar, though I have never hung out there. I am more of a TV sports type. The only negative is the cigarette smoke! Low brow locals come in here to feed their habit around the bar after work. If you are unlucky, one will sit next to you at the bar and just blow you away. Why can the EI get a better draw of air upwards? I wretch just thinking about it. Other times. Very pleasant. A great place to watch the game. If you walk here from the strip, be prepared to run the gauntlet of some bums, if the cops haven't been around. It is kinda scary on Koval at night. Better to drive if you have your girlfriend. Casino Review Only: Not what you want if you want to be near the strip, significant walk from strip and hit and miss for cabs (mostly miss). Fun casino with much lower limits than strip, but it's old, dingy & smokey. We had to call maintenance 3 times in 2 hours on 3 different video poker machines to get our tickets out, sticky buttons, ect. Micro brewery is a nice touch as is Metro Pizza. I've had fun every time I've gone in here, but you won't find the beautiful people here. Low end & sorta locals place. I like it OK, but it's not for everyone. Have not checked the rooms and really doubt I ever will. Better deals off strip and downtown IMHO. Gave rooms 3 stars based on what I've heard, because you can't finish the review without rating rooms. I come to Vegas to go out and have fun, not sit in my room-so this is the perfect place. 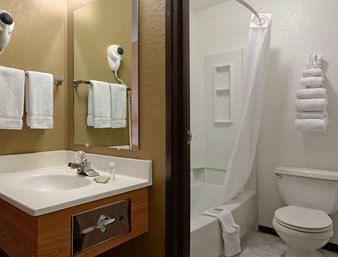 the rooms are recently remodeled, very clean, 24 hour staff, king beds, clean, cute pool and hot tub, nice showers, they give lots of towels and washcloths, free internet! saves $10 a day, no resort fees saves another $15 a day. The hotel does NOT smell like smoke. The food next door at Ellis Island is EXCELLENT! If you want a place to store your stuff while you are out having fun, this place is great. most of 'cheapos' review is flat wrong, this is a nice hotel! Oh yeah- 32 inch tv's with about 70 channels. Did i mention clean?